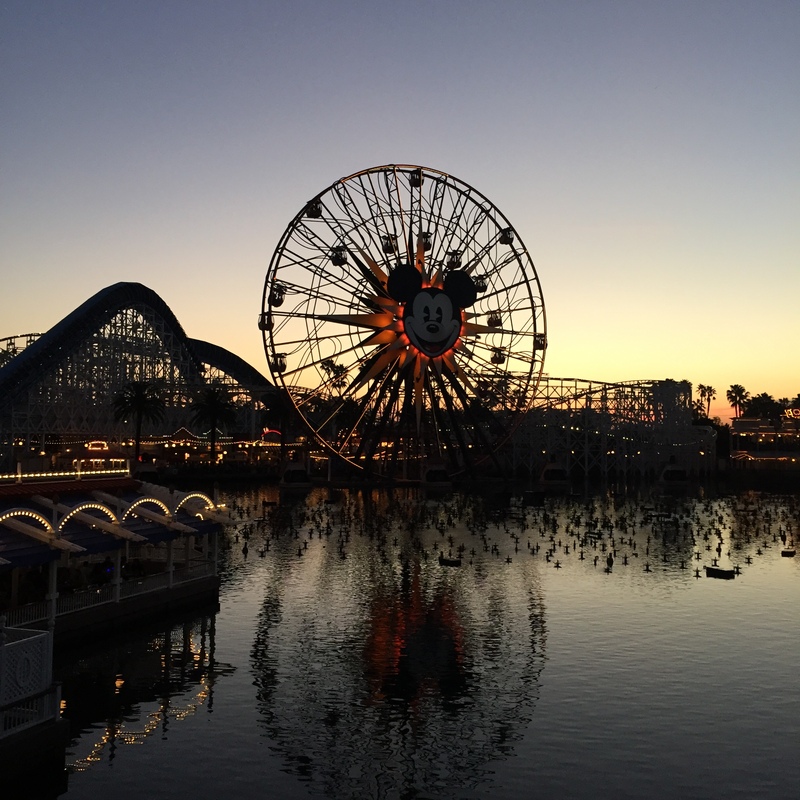 Disney California Adventure – Adapt or Die! To all who come to this happy place – welcome! 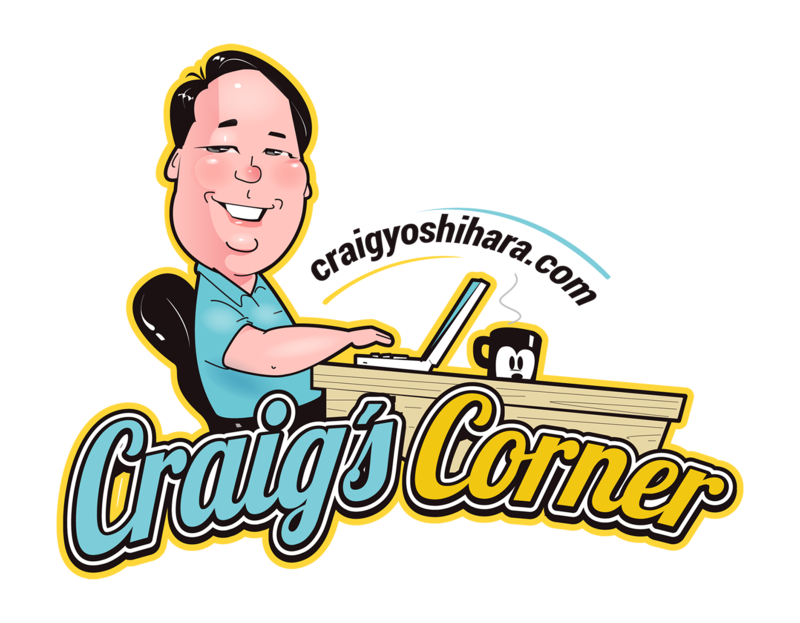 This is the beginning of our 3-part The Disney Sermons series. Our church goes on an annual trip to Disneyland where we explore faith in the world (and have lots of fun doing it). Our next trip will be in February of 2017. There are so many lessons to be learned about church from the mouse house. Too often we downplay the contributions from other sources, but the church does not have a lock on the recipe for success. We can always learn from those around us. Hope you enjoy! 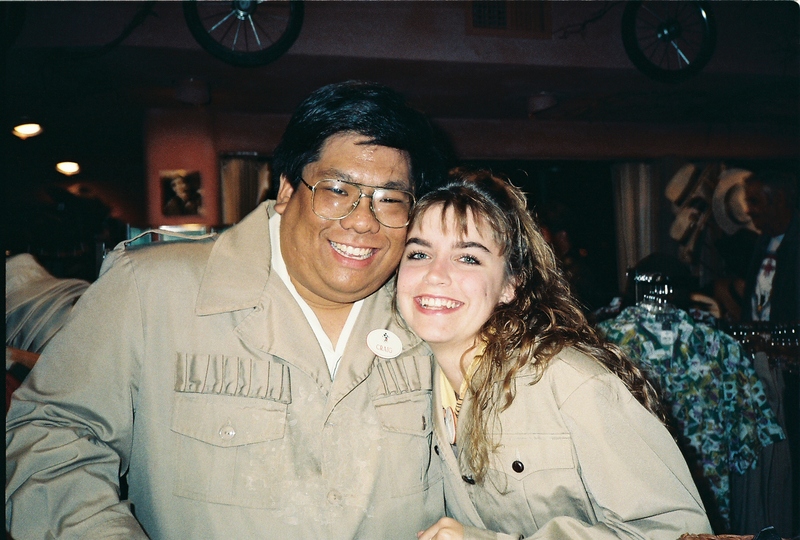 My friend Jen and I working in Adventureland Safari Outpost together – has it really been that long? You probably noticed I have a passion for Disney. Part of the reason I love Disney so much is because it has been a big part of my life. My first job was at Disneyland. I met my first girlfriend while working at the park. I promised to marry Cassie while visiting Walt Disney World. And many of my close friends were people I met or worked with at Disneyland. Some of my fondest memories of my childhood revolve around Disney. I remember going to drive-in movies with my parents to see Disney films. Robin Hood was always my favorite, but we saw tons of different movies while sitting there with a speaker attached to the window of our car while eating a giant tub of popcorn. Every year my parents would take us to the park and spend the entire day there. I still don’t know how they did it. These are the kind memories that have driven my passion for Disney. But the reason I talk about it so much in worship is because of something else. If we could make the kind of magic that Disney does on a daily basis right here in the church, we would revolutionize what it means to be the church. If we could get people excited about coming to church the way people are excited about coming to a Disney movie or theme park, the church could once again become the movement we have so longed to see it become. To do that we have to constantly be willing to change. This isn’t a Disney tenet, although it is one they follow. This comes straight from the Bible. If you have a Bible or a Bible app on your phone, would you please go to 1 Corinthians 9:19-23. 1 Corinthians 9:19-23. The willingness to change is important. When something isn’t working, you have to be willing to do what it takes to make it right. Just look at Disney California Adventure as an example or as one cast member called it, the $1 billion mistake. When they first opened, Disney had high hopes for this brand-new park. Built as a homage to California, it featured areas about Hollywood, the Wine Country, and beachfront amusement parks, but people weren’t coming. They finally had to admit something wasn’t working. When they did the research they found out that their basic premise for building Disney California Adventure missed the mark. People wanted to see Disney characters. They didn’t want replica rides they could go on anywhere. They wanted the Disney magic! So the Imagineers went back to the drawing board and in an effort that cost the company over a billion dollars, they basically redid huge sections of the park. And it worked. Attendance increased by nearly 4 million visitors per year since the park’s opening, an increase of nearly 50%. But it took a willingness to change to achieve the results they hoped for. The same is true for us as God’s children. If you know about the apostle Paul, you know that of all of Jesus’ early followers he had the farthest to come. Not only was he opposed to Jesus and his followers, but he was one of the church leaders who persecuted and hunted them down. This was a guy who was bent on destroying this wayward faction of Judaism and either bring them in line or get rid of them. But Paul’s story is one of the most profound because he had so far to go. It was something Paul wrote to the church at Corinth that shows his willingness to change for the sake of the Gospel. If you would please rise as we read together from 1 Corinthians 9:19-23. Hear now the Word of the Lord. Paul’s willingness to change is a model for us all. Not just as a church, but in our personal life and in our work life, too. I’ve never really gone into detail about my kidney problems and I’ve asked you to pray about it in the past, but I have chronic kidney disease, which means my kidneys have been permanently damaged. With proper care and management, I can keep them going for a very long time and I am praying I will never have to go on dialysis or need to ask for a living donor transplant, but many people do and live long lives. Still, it’s scary to think about how very fragile life is and for a long time I really ignored it because even though my kidneys were compromised I haven’t gotten any worse. That and I think I was living in denial about my condition. This past visit to my nephrologist, one of my key numbers got worse. Not significantly so that it worried my doctor (she was convinced it’s a blip and not a trend), but enough that it worried me and made me realize that I have been ignoring that word “chronic” for far too long. Because the truth is, everything has been okay. Why change when things are alright? But just because something SEEMS alright doesn’t mean it is. It made me realize that I can’t afford to ignore it any longer or take it so lightly. I feel super fortunate I have a great set of doctors and a loving family. I’m grateful that it isn’t worse. And I’m blessed to have Jesus in my life. But change is hard and this change is a big one for me. Being willing to do what needs to be done is essential and life-giving in my case. But it’s scary. I have to admit it’s all scary. The change, and the results if I don’t change. Is it any different for the church? Do we regularly take stock of where we are? Do we manage our church health? Do we make the changes necessary to make it better? Or are we more likely to take a look around and see that things seem okay and just kind of keep going? 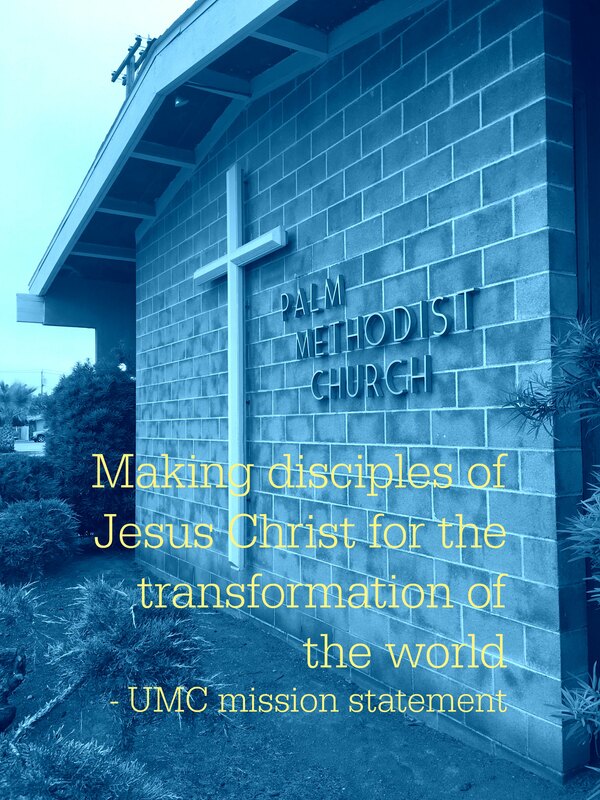 Our mission statement as a church is to “make disciples for Jesus Christ for the transformation of the world.” But most of our churches are not doing that. It’s why attendance and membership are falling all over the world. Will we make the changes we need to make to avoid the worst from happening? We saw how Disney was able to turn around a failing enterprise by biting the bullet and being willing to make the changes necessary to succeed. I know that the changes I’m making in my diet and the way I live my life will add time that I might not have had before and pray that it will keep at bay the worst from happening. And it’s a good idea for us as a church to do the same, to take stock from time to time and to make the changes that need to be made so we don’t end up in a place where it’s too hard to come back or the cost is too much to bear. This was the life Paul chose. He felt the best way to serve Christ was to serve others. And he felt that the best way to serve others was to relate to them, to build relationships with them, and then to look for opportunities to offer them Jesus. In order to “win as many as possible” he would need to go where the people were and do what they do. And that was his message to the church – we need to meet people where they are, not where we want them to be. We need to meet people where they are, not where WE want them to be. But that doesn’t just mean figuring out what people want out of worship and changing that even though that’s a part of it. It means changing ourselves and how we relate to the world. Paul says in verse 22, “I have become all things to all people so that by all possible means I might save some.” Even Paul knew he wasn’t going to save the entire world by himself, but he knew that if he wanted a chance to save even some people, if he wanted to help even some people know the love of Christ, he would have to constantly change how he related to people. He couldn’t afford to wait for people to come to him and we need to do the same. One change I would love for us to focus on is invitation. So many people have told me that they have no one to invite, but the truth is we have plenty of people to invite! We just have to learn how to create those opportunities for invitation. When Rev. Bener and Rev. Debra came to talk with us they helped us come up with a lot of great ideas to do that. Volunteer at a senior center, start a home Bible study in your neighborhood, become involved in community events. These are great ways to meet new people and develop relationships, but have you done those things? Because when Bener and Debra were helping us brainstorm great ideas it was with the intent that you would take those ideas and do something with them. That you would be inspired to go out into the community with a spirit of invitation. Too many churches rely on their pastor alone to do the inviting, but imagine the power of a church where everyone took it upon themselves to do it together. Even with just the people we have right here in worship today, that would multiply our efforts by 30 or 40 times easily! Who would you guess would be more successful? The church with only the pastor doing the inviting or the church where everyone did the inviting? The plans that we have for fixing up our building are inspirational, but it won’t make a difference if you don’t invite people to come in those doors and be a part of what we hope to do. You’ve got to create opportunities to do so. I want you to find someone you know who doesn’t go to church or you don’t know if they are Christian and wait for an opportunity to invite them to join us. You might think, “All of the people I know are already going to church,” but I want you to expand your definition of “people you know.” I’m guessing you still know people who either don’t come to church or you don’t know if they come to church. You might have a favorite restaurant you go to where they already know your order. You might have a favorite coffee place where the guys behind the counter don’t even have to ask your name. You might have a person clean your house or mow your lawn or that you see all the time at the store. There are people all around you with potential to be part of what we are doing in this place. You just have to be willing to change how you look at the world and be open to those opportunities. They will come without you having to force it at all. You simply have to be willing to step out of your comfort zone when the opportunity arises and do what needs to be done. I want to challenge you today to spend the week taking note of who you know and who you bump into. Identify just three people you come across on a regular basis that you don’t know if they go to church or if they are even Christian and then pray about what you should do with that list. I think at some point, you’ll be presented with an opportunity and it might very well be the one they’ve been waiting for. But only if you’re open to it. Disneyland is always willing to change. It is the key to their success. Walt was never afraid to do something different if it meant creating an environment that would welcome his guests. 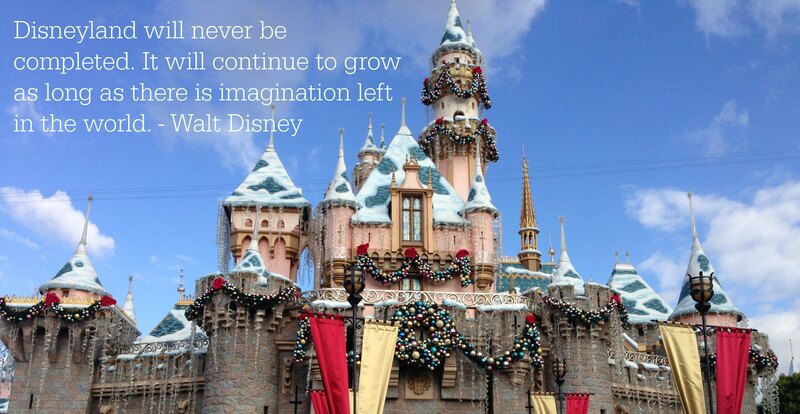 He is famous for saying, “Disneyland will never be completed, as long as there is imagination left in the world.” And he meant it. He once said, “To keep an operation like Disneyland going, you have to pour it in there. It’s what I call, ‘Keeping the show on the road.’ You have to keep throwing it in; you can’t sit back and let it ride.” The same is true for the church and is true for ourselves. We can’t afford to sit back and let it ride. We need to challenge ourselves to grow and learn and get better at whatever it is we are doing. Whether that’s in the church, outside of the church, with our families, or even by ourselves. I hope and pray that we will always have that spirit of being able to embrace change. Like with Disney California Adventure, like in my own life, and I’m betting at some point like in yours, being willing to change can literally make a huge difference in your life.